BTC’s Take: Stowits, a lieutenant for most of the Bermuda Hundred Campaign and the Siege of Petersburg, is a pretty good writer. This regimental history was written only 5 years or so after the end of the war, so the memories were fresh in the author’s mind and in the minds of those who contributed to this book. The 100th New York was involved in the Bermuda Hundred Campaign and Siege of Petersburg, never fighting in what would be termed “famous” battles, but doing hard fighting nevertheless. The book is a good source for the regiment’s activities in 1864-65, and Stowits is especially thorough in documenting promotions as well as who led his regiment and brigade at any given time. A full roster graces the back of the book. 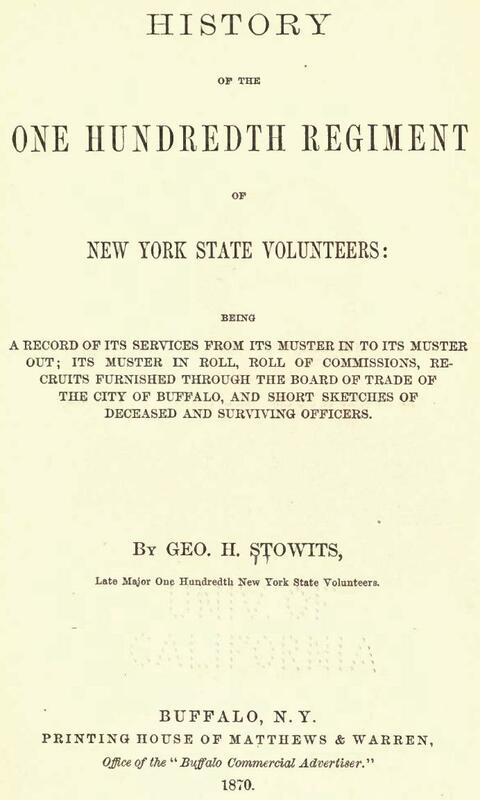 History of the One Hundredth Regiment of New York State Volunteers is one of the better regimental histories I’ve read from this time period.